As a photographer, sometimes my own pets are my favorite subjects. Today my beautiful cat, Pigeon, decided to be a willing model. 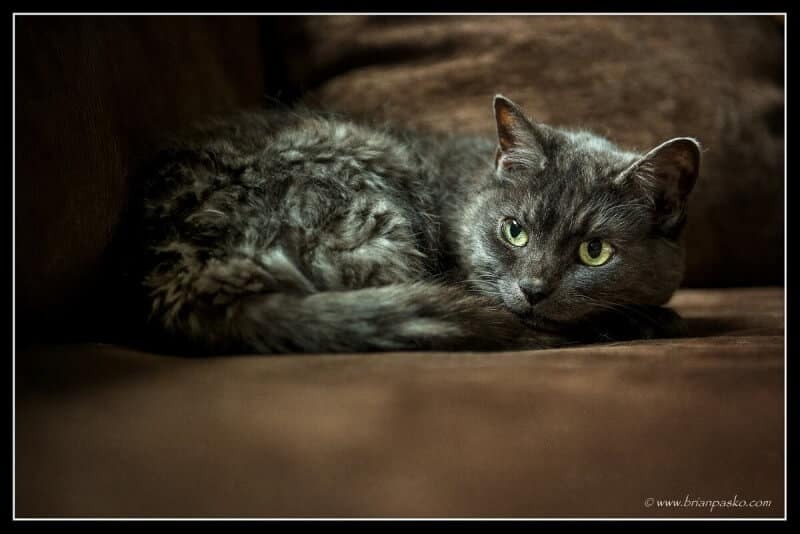 When I saw her sleeping soundly on the couch beneath our living room window, I couldn’t help but take her portrait. She woke to the sound of my camera focusing, a pop of the flash, and she quickly went back to her state of bliss. You can click on the image to see a larger version. Are you interested in a portrait of your pet? Whether you’ve got a cat, dog, or a pet tortoise, I can help you capture beautiful images of your pet so you can be sure to hold on to moments like this one forever.